Most flight delay announcements prompt frustrated groans and sighs from passengers. 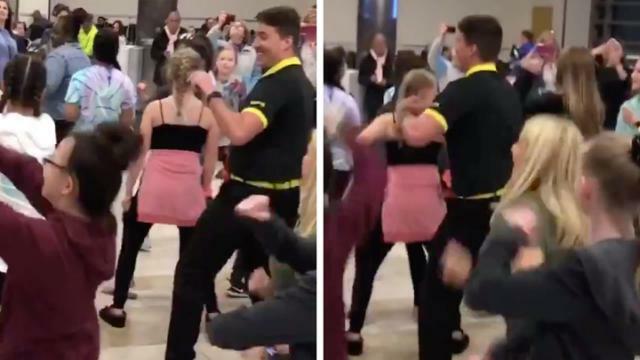 But, for a Spirit Airlines flight at the Myrtle Beach International Airport in South Carolina, the delay resulted in an impromptu line-dancing party so lively, an airline employee couldn’t help but join in on the fun. The whole scene — featuring a large group of cheerleaders — was captured on video and has gone viral. Mother’s Day Travel Deals! Get up to $30 off with promo code MOM30 Book now! Make your Easter egg-cellent Get up to $30 off with Promo Code EASTER30 Book Now!